The View is responsible for the look and feel. Model represents the real world object and provides data to the View. 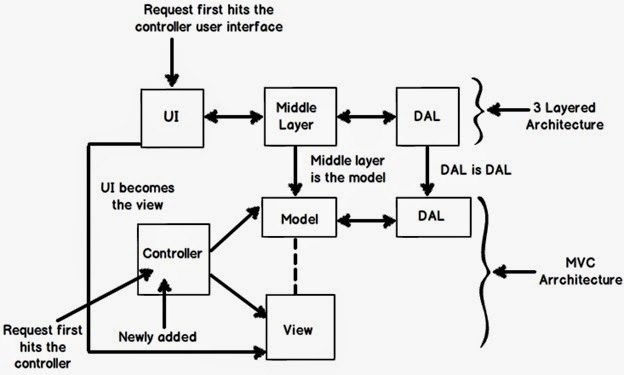 The Controller is responsible for taking the end user request and loading the appropriate Model and View. There are six broader events which occur in MVC application life cycle below diagrams summarize it. Any web application has two main execution steps first understanding the request and depending on the type of the request sending out appropriate response. MVC application life cycle is not different it has two main phases first creating the request object and second sending our response to the browser. Step 1 Fill route: - MVC requests are mapped to route tables which in turn specify which controller and action to be invoked. So if the request is the first request the first thing is to fill the route table with routes collection. This filling of route table happens in the global.asax file. Step 2 Fetch route: - Depending on the URL sent “UrlRoutingModule” searches the route table to create “RouteData” object which has the details of which controller and action to invoke. Step 3 Request context created: - The “RouteData” object is used to create the “RequestContext” object. Step 4 Controller instance created: - This request object is sent to “MvcHandler” instance to create the controller class instance. Once the controller class object is created it calls the “Execute” method of the controller class. Creating Response object: - This phase has two steps executing the action and finally sending the response as a result to the view. Is MVC suitable for both Windows and Web applications? The MVC architecture is suited for a web application than Windows. For Window applications, MVP, i.e., “Model View Presenter” is more applicable. If you are using WPF and Silverlight, MVVM is more suitable due to bindings. · Separation of concerns is achieved as we are moving the code-behind to a separate class file. By moving the binding code to a separate class file we can reuse the code to a great extent. · Automated UI testing is possible because now the behind code (UI interaction code) has moved to a simple .NET class. This gives us opportunity to write unit tests and automate manual testing. Is MVC different from a three layered architecture? For checkbox below is the HTML helper code. In this way we have HTML helper methods for every HTML control that exists. Both of them provide the same HTML output, “HTML.TextBoxFor” is strongly typed while “HTML.TextBox” isn’t. Below is a simple HTML code which just creates a simple textbox with “CustomerCode” as name. Below is “Html.TextBoxFor” code which creates HTML textbox using the property name “CustomerCode” from object “m”. What is routing in MVC? For instance let’s say we want that when a user types “http://localhost/View/ViewCustomer/”, it goes to the “Customer” Controller and invokes the DisplayCustomer action. This is defined by adding an entry in to the routescollection using the maproute function. Below is the underlined code which shows how the URL structure and mapping with controller and action is defined. Yes, you can, you just need to make two entries with different key names and specify the same controller and action. How can we navigate from one view to another using a hyperlink? By using the ActionLink method as shown in the below code. The below code will create a simple URL which helps to navigate to the “Home” controller and invoke the GotoHome action. We can decorate the MVC action with the HttpGet or HttpPost attribute to restrict the type of HTTP calls. For instance you can see in the below code snippet the DisplayCustomer action can only be invoked by HttpGet. If we try to make HTTP POST on DisplayCustomer, it will throw an error. How can we maintain sessions in MVC? 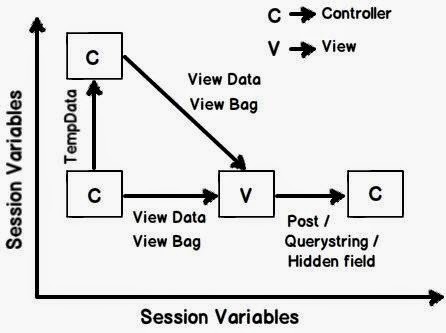 Sessions can be maintained in MVC by three ways: tempdata, viewdata, and viewbag. What is the difference between tempdata, viewdata, and viewbag? Temp data - Helps to maintain data when you move from one controller to another controller or from one action to another action. In other words when you redirect, tempdata helps to maintain data between those redirects. It internally uses session variables. View data - Helps to maintain data when you move from controller to view. 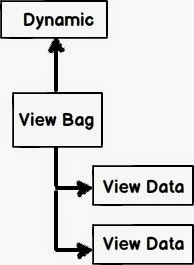 View Bag - It’s a dynamic wrapper around view data. When you use Viewbag type, casting is not required. It uses the dynamic keyword internally. Session variables - By using session variables we can maintain data from any entity to any entity. Hidden fields and HTML controls - Helps to maintain data from UI to controller only. So you can send data from HTML controls or hidden fields to the controller using POST or GET HTTP methods. Below is a summary table which shows the different mechanisms for persistence. Partial view is a reusable view (like a user control) which can be embedded inside other view. For example let’s say all your pages of your site have a standard structure with left menu, header, and footer as shown in the image below. 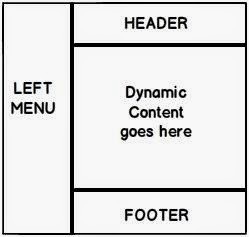 For every page you would like to reuse the left menu, header, and footer controls. So you can go and create partial views for each of these items and then you call that partial view in the main view. How did you create a partial view and consume it? One of the easiest ways of doing validation in MVC is by using data annotations. Data annotations are nothing but attributes which can be applied on model properties. For example, in the below code snippet we have a simple Customer class with a property customercode. This CustomerCode property is tagged with a Required data annotation attribute. In other words if this model is not provided customer code, it will not accept it. In order to display the validation error message we need to use the ValidateMessageFor method which belongs to the Html helper class. Later in the controller we can check if the model is proper or not by using the ModelState.IsValid property and accordingly we can take actions. Yes, we can; use the ValidationSummary method from the Html helper class. If you want to check string length, you can use StringLength. In case you want to use a regular expression, you can use the RegularExpression attribute. If you want to check whether the numbers are in range, you can use the Range attribute. Sometimes you would like to compare the value of one field with another field; we can use the Compare attribute. In case you want to get a particular error message, you can use the Errors collection. In case you want add errors in the controller you can use the AddModelError function. It’s a two-step process: first reference the necessary jQuery files. The second step is to call the EnableClientValidation method. It’s a light weight view engine. Till MVC we had only one view type, i.e., ASPX. Razor was introduced in MVC 3. So which is a better fit, Razor or ASPX? As per Microsoft, Razor is more preferred because it’s light weight and has simple syntaxes. For Windows authentication you need to modify the web.config file and set the authentication mode to Windows. Then in the controller or on the action, you can use the Authorize attribute which specifies which users have access to these controllers and actions. Below is the code snippet for that. Now only the users specified in the controller and action can access it. Forms authentication is implemented the same way as in ASP.NET. The first step is to set the authentication mode equal to Forms. The loginUrl points to a controller here rather than a page. We also need to create a controller where we will check if the user is proper or not. If the user is proper we will set the cookie value. All the other actions need to be attributed with the Authorize attribute so that any unauthorized user making a call to these controllers will be redirected to the controller (in this case the controller is “Login”) which will do the authentication. Below is a simple sample of how to implement AJAX by using the “AJAX” helper library. In the below code you can see we have a simple form which is created by using the Ajax.BeginForm syntax. This form calls a controller action called getCustomer. So now the submit action click will be an asynchronous AJAX call. In case you want to make AJAX calls on hyperlink clicks, you can use the Ajax.ActionLink function as shown in the below code. So if you want to create an AJAX asynchronous hyperlink by name GetDate which calls the GetDate function in the controller, below is the code for that. Once the controller responds, this data is displayed in the HTML DIV tag named DateDiv. Below is the controller code. You can see how the GetDate function has a pause of 10 seconds. The second way of making an AJAX call in MVC is by using jQuery. In the below code you can see we are making an AJAX POST call to a URL /MyAjax/getCustomer. This is done by using $.post. All this logic is put into a function called GetData and you can make a call to the GetData function on a button or a hyperlink click event as you want. · ActionResult is an abstract class while ViewResult derives from the ActionResult class. ActionResult has several derived classes like ViewResult, JsonResult, FileStreamResult, and so on. · ActionResult can be used to exploit polymorphism and dynamism. So if you are returning different types of views dynamically, ActionResult is the best thing. For example in the below code snippet, you can see we have a simple action called DynamicView. Depending on the flag (IsHtmlView) it will either return a ViewResult or JsonResult. It’s difficult to remember all the 12 types. But some important ones you can remember for the interview are ActionResult, ViewResult, and JsonResult. Below is a detailed list for your interest. 1) ViewResult - Renders a specified view to the response stream. 2) PartialViewResult - Renders a specified partial view to the response stream. 3) EmptyResult - An empty response is returned. 4) RedirectResult - Performs an HTTP redirection to a specified URL. 5) RedirectToRouteResult - Performs an HTTP redirection to a URL that is determined by the routing engine, based on given route data. 6) JsonResult - Serializes a given ViewData object to JSON format. 8) ContentResult - Writes content to the response stream without requiring a view. 9) FileContentResult - Returns a file to the client. 10) FileStreamResult - Returns a file to the client, which is provided by a Stream. 11) FilePathResult - Returns a file to the client. What are ActionFilters in MVC? ActionFilters help you to perform logic while an MVC action is executing or after an MVC action has executed. 1) Implement post-processing logic before the action happens. 2) Cancel a current execution. 3) Inspect the returned value. 4) Provide extra data to the action. · Creating an ActionFilter attribute. 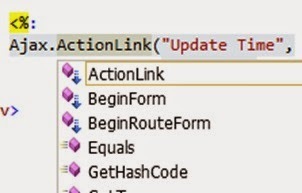 To create an inline action attribute we need to implement the IActionFilter interface. 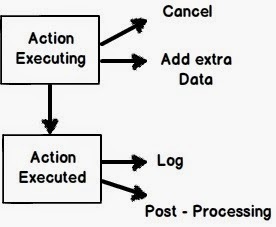 The IActionFilter interface has two methods: OnActionExecuted and OnActionExecuting. We can implement pre-processing logic or cancellation logic in these methods. The problem with the inline action attribute is that it cannot be reused across controllers. So we can convert the inline action filter to an action filter attribute. To create an action filter attribute we need to inherit from ActionFilterAttribute and implement the IActionFilter interface as shown in the below code. Later we can decorate the controllers on which we want the action attribute to execute. You can see in the below code I have decorated the Default1Controller with the MyActionAttribute class which was created in the previous code. In MVC, we have the JsonResult class by which we can return back data in JSON format. Below is a simple sample code which returns back a Customer object in JSON format using JsonResult. For satisfying the broad range of clients REST was the proposed approach. WebAPI is the technology by which you can expose data over HTTP following REST principles. But WCF SOAP also does the same thing, so how does WebAPI differ? Heavy weight because of complicated WSDL structure. Light weight, only the necessary information is transferred. To parse SOAP message, the client needs to understand WSDL format. Writing custom code for parsing WSDL is a heavy duty task. If your client is smart enough to create proxy objects like how we have in .NET (add reference) then SOAP is easier to consume and call. 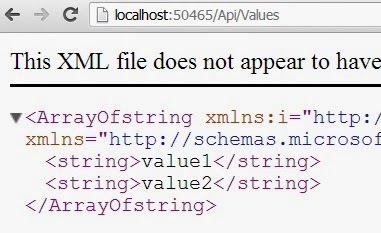 Outputs of WebAPI are simple string messages, JSON, simple XML format, etc. So writing parsing logic for that is very easy. With WCF you can implement REST, so why WebAPI? WCF was brought into implement SOA, the intention was never to implement REST. WebAPI is built from scratch and the only goal is to create HTTP services using REST. Due to the one point focus for creating REST service, WebAPI is more preferred. 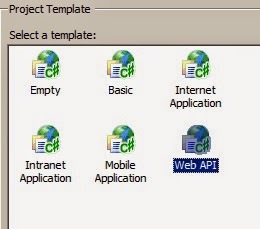 Step 1: Create the project using the WebAPI template. Step 2: Once you have created the project you will notice that the controller now inherits from ApiController and you can now implement POST, GET, PUT, and DELETE methods of the HTTP protocol. How can we detect that an MVC controller is called by POST or GET? To detect if the call on the controller is a POST action or a GET action we can use the Request.HttpMethod property as shown in the below code snippet. Bundling and minification helps us improve request load times of a page thus increasing performance. · One for the Index page. How do we implement minification? When you implement bundling, minification is implemented by itself. In other words the steps to implement bundling and minification are the same. Areas help you to group functionalities into independent modules thus making your project more organized. For example in the below MVC project we have four controller classes and as time passes by if more controller classes are added it will be difficult to manage. In bigger projects you will end up with 100’s of controller classes making life hell for maintenance. 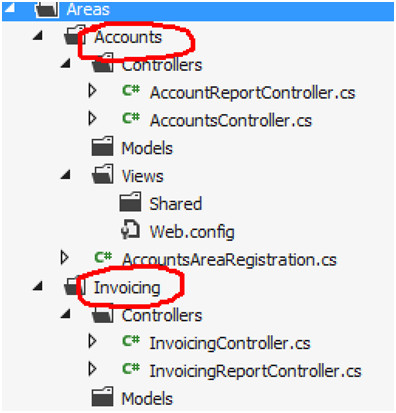 If we can group controller classes in to logical section like “Invoicing” and “Accounting” that would make life easier and that’s what “Area” are meant to. 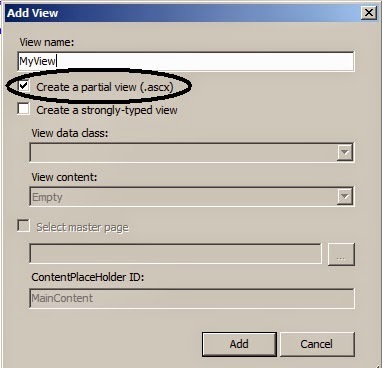 You can add an area by right clicking on the MVC solution and clicking on “Area” menu as shown in the below figure. 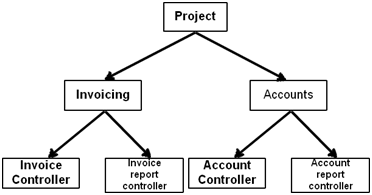 In the below image we have two “Areas” created “Account” and “Invoicing” and in that I have put the respective controllers. You can see how the project is looking more organized as compared to the previous state. 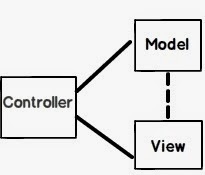 Explain the concept of View Model in MVC? For example below is a simple customermodel object with “CustomerName” and “Amount” property. 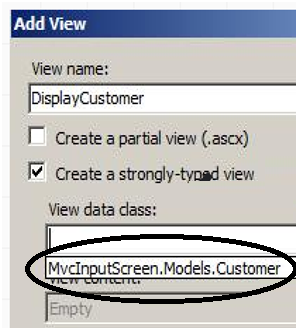 But when this “Customer” model object is displayed on the MVC view it looks something as shown in the below figure. It has “CustomerName”, “Amount” plus “Customer Buying Level” fields on the view / screen. “Customer buying Level” is a color indication which indicates how aggressive the customer is buying. “Customer buying level” color depends on the value of the “Amount property. If the amount is greater than 2000 then color is red, if amount is greater than 1500 then color is orange or else the color is yellow. · “TxtCustomerName” textbox takes data from “CustomerName” property as it is. · “TxtAmount” textbox takes data from “Amount” property of model as it is. · “CustomerBuyingLevelColor” displays color value depending on the “Amount“ value. What kind of logic view model class will have? Color transformation logic: For example you have a “Grade” property in model and you would like your UI to display “red” color for high level grade, “yellow” color for low level grade and “green” color of ok grade. Data format transformation logic: Your model has a property “Status” with “Married” and “Unmarried” value. In the UI you would like to display it as a checkbox which is checked if “married” and unchecked if “unmarried”. Aggregation logic: You have two differentCustomer and Address model classes and you have view which displays both “Customer” and “Address” data on one go. Structure downsizing: You have “Customer” model with “customerCode” and “CustomerName” and you want to display just “CustomerName”. So you can create a wrapper around model and expose the necessary properties. Let us first try to understand what the interviewer is asking. When we bind a model with a view we use the model dropdown as shown in the below figure. In the below figure we can only select one model.